Oh, the holidays! Such a joyous time of the year celebrating with family and friends– and, of course, a few cocktails. This one here is gold, my friends. Apparently, I had been living underneath a rock, because up until recently I had never tried Rumchata. I’d heard of it, but to be honest, thought it sounded a bit lame. A little “too girly” for me, I guess. I’m more of a boozy, classic cocktail girl– a manhattan is my winter elixir of choice– so perhaps it’s not so surprising that I overlooked this little white bottle of cheer. Well I’ve tried it now, and it turns out, it’s quite good. It’s sweet and tastes pretty much like rice pudding in a glass. And sometimes sweet is exactly what’s called for, right? For those of you who also live under rocks (I kid), Rumchata is a liqueur made from horchata and a bit of rum. Which begs the question, what’s horchata? It’s a Spanish drink made by soaking rice or a mixture of rice and almonds or tigernuts in water and cinnamon for a day or so. Then it’s blended and sweetened with sugar and milk. So, in my usual fashion, I decided that I wanted to make this stuff from scratch. Because a bottle of Rumchata costs a whole-lotta (you see what I did there?). Actually, it’s not that expensive, but really there isn’t that much alcohol in it, so I’m basically paying for rice water? No thanks. I’ll make it myself. And it will be even better. Voilà! It’s ridiculously easy and tastes oh-so delicious. 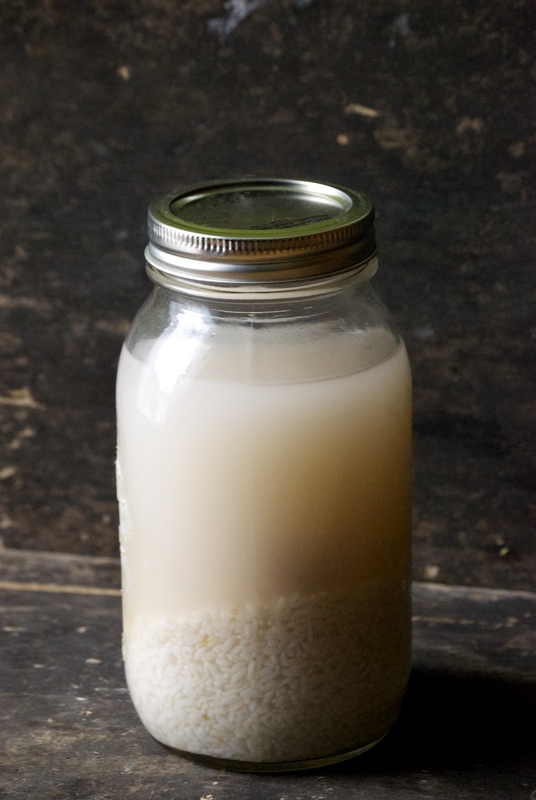 Making your own rumchata does require a bit of planning because soaking the rice in water overnight yields the best flavor. I like to mix the horchata with both a bit of rum and a bit more vodka. My theory is if you’re going to drink a cocktail, drink a damn cocktail. Making it yourself lets you decide exactly how sweet you want it to be. I don’t like mine cloyingly so. You can also decide how rich you’d like it. 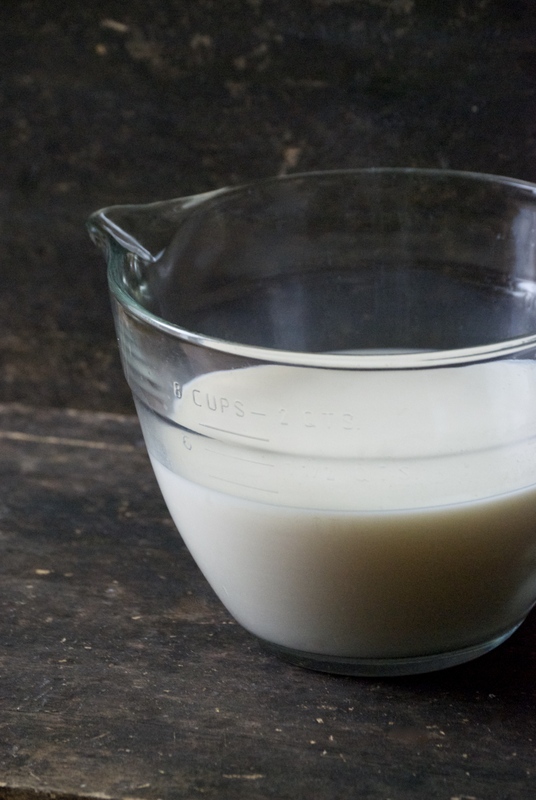 Whole milk does the trick for me, but perhaps you’d like to use a mixture of milk and cream? You decide. 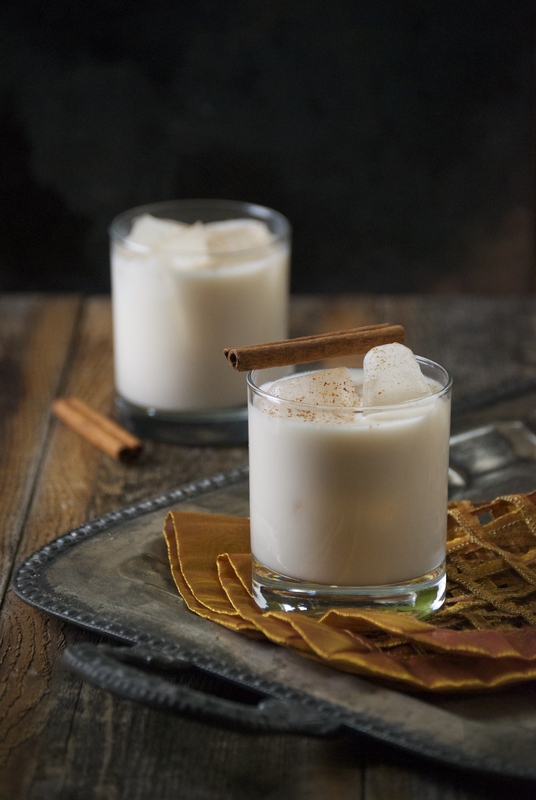 This is such a delicious cocktail that tastes like holiday cheer in a glass with creamy flavors of rice pudding and cinnamon– be careful, it goes down rather easily. It’s absolutely perfect to make for a party. Cheers! Note: almond milk can be substituted for a dairy-free version. Coconut milk works too, just be sure to adjust the amount of sugar you add. 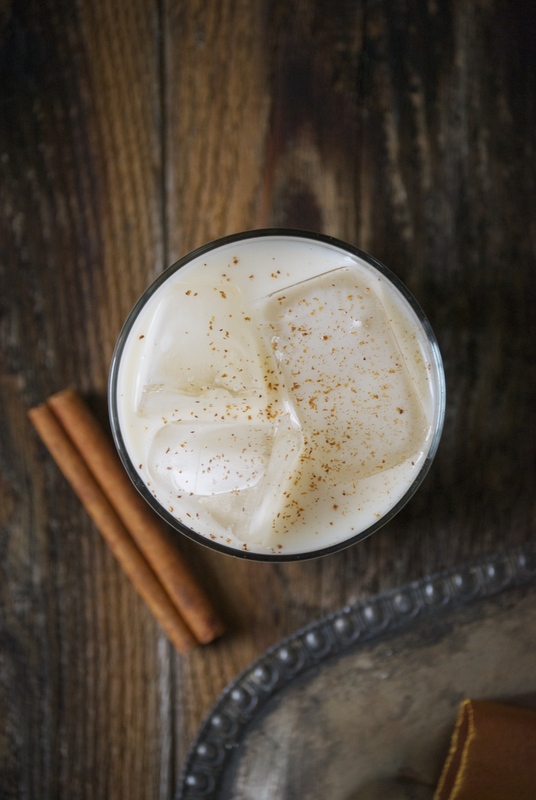 To make the Horchata: begin by pulsing the rice in a blender or food processor until it’s the consistency of coarse polenta. Your blender may or may not do a good job with this task. Mine was mediocre. So, don’t worry if yours doesn’t do this well. Place the rice in a quart jar and add the cinnamon stick and 3 cups of warm water. Refrigerate for at least 8 hours, but preferably overnight. Place the mixture back into the blender, cinnamon stick included and blend once again. There may be some splattering, so throw a towel over the mixer or food processor. Don’t expect the cinnamon stick to get fully blended. Into a large pitcher, strain the mixture through a mesh strainer lined with cheesecloth and give it a squeeze at the end to extract as much liquid as possible. Then add the milk, 1/2 cup of sugar, and a splash of vanilla to the pitcher. Stir until the sugar has dissolved. Store in the refrigerator. Your kids will love this served over ice with a sprinkle of cinnamon. 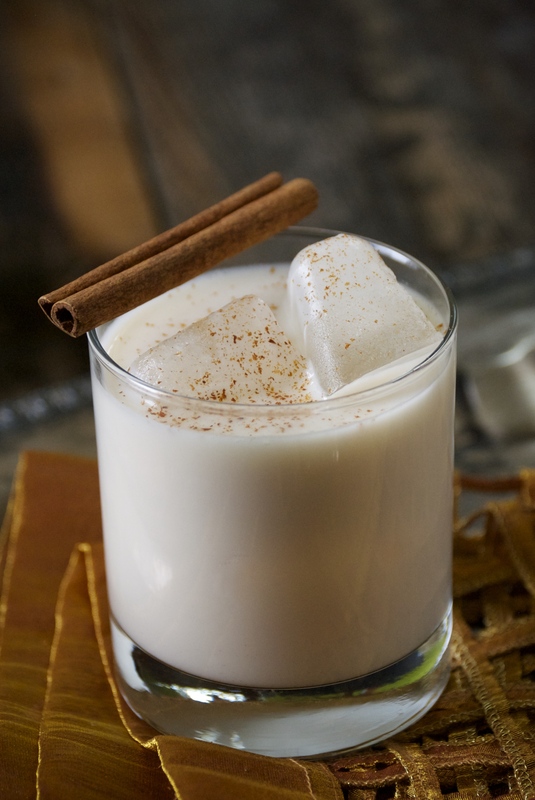 For your cocktail, mix the vodka, rum, and horchata into a shaker for a second or two. Then pour into a low-ball glass filled with ice. Grate some fresh cinnamon on top and cheers away! “Millions of peaches, peaches for me. Millions of peaches, peaches for free”. 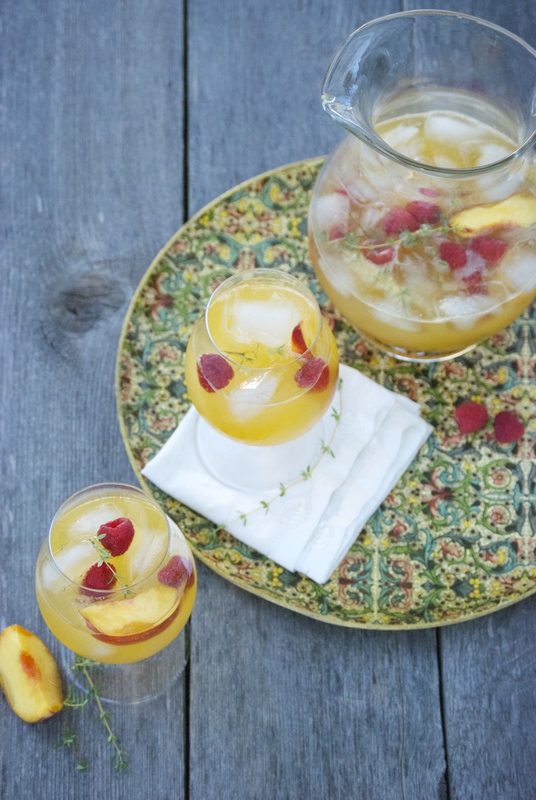 My apologies for putting that song in your head, but I end up humming it every time I make this wonderful sangria. And while the comical stylings of the band The Presidents of the United States of America (I’m really showing my early 90’s musical roots here) may not be your thing, this drink will be. If only peaches were free…if only. It’s hard to not like sangria, to be honest. What’s not to love? Delicious wine spiked with fruit or fruit juices, sometimes sugar, sometimes bubbles. Yes, please. 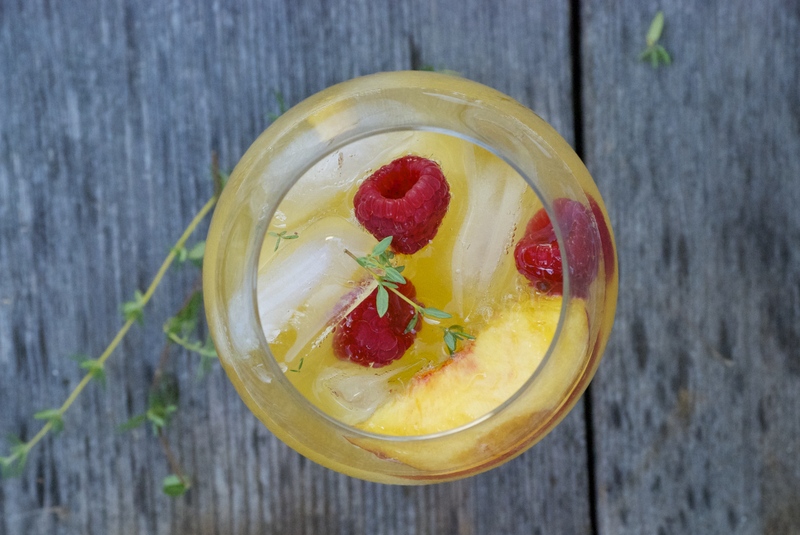 Making sangria can be a bit like painting on a canvas. There are so many colors and choices for your creation. 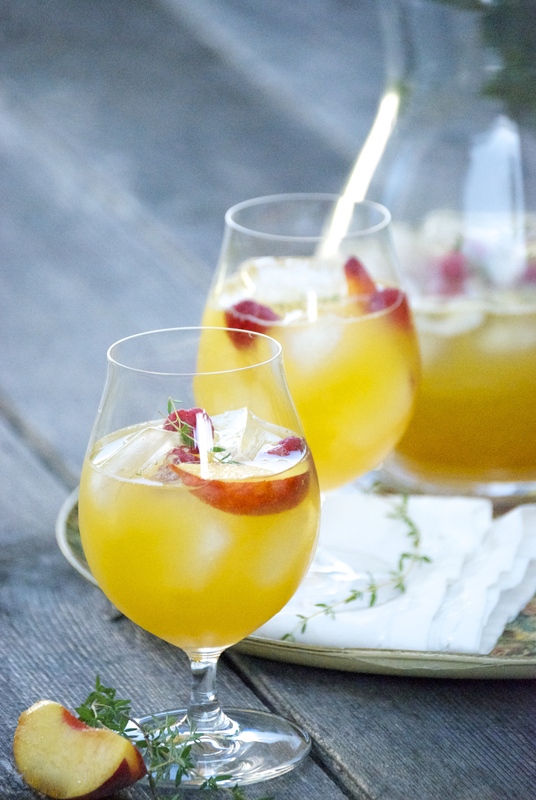 I enjoy both white and red sangria, but in either style fresh herbs are the key for me. They give it a little more complexity that so many other versions seem to lack. I’ve also recently been experimenting with fresh juices in my sangria. We have a Breville Juice Fountain Plus and I like to put it to good use. You may think you’ll waste a lot of the fruit by juicing it, but the truth is, you don’t. I had almost no pulp when I juiced two peaches for this recipe– the only thing that was discarded was the peel. 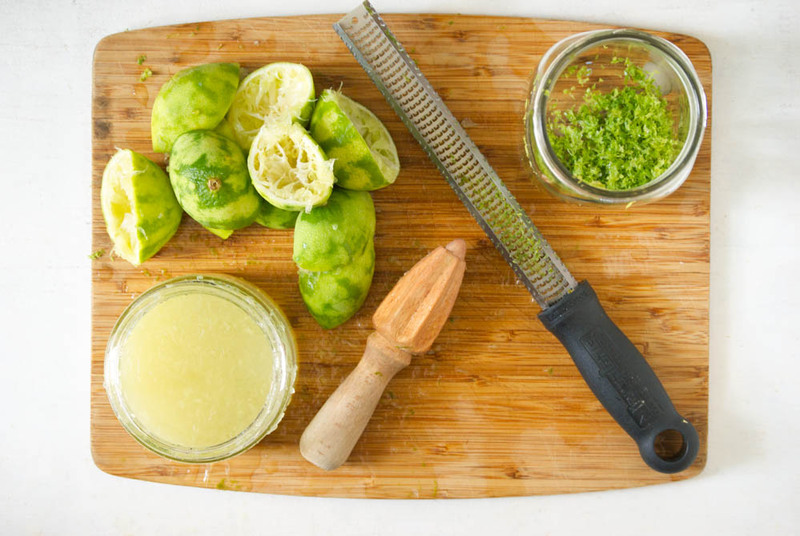 If you’ve been thinking of purchasing a juicer, summer is the perfect time to do it! There are so many wonderful fruits and vegetables to experiment with. Of course, if you don’t have a juicer, you can simply peel the peach and purée in a blender– that method will work just fine. 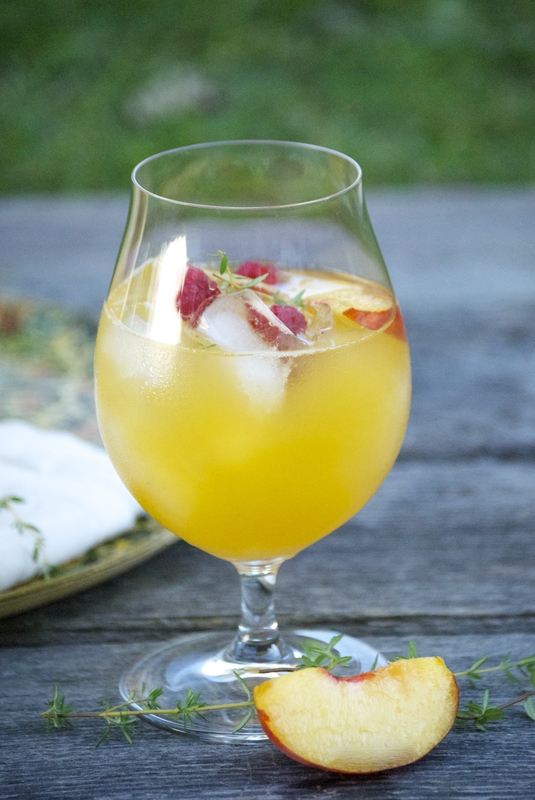 I wanted to create an herby, mostly naturally-sweetened sangria. Some recipes require a lot of sugar, but I’d rather avoid that if possible. The addition of chamomile is subtle, but lovely. 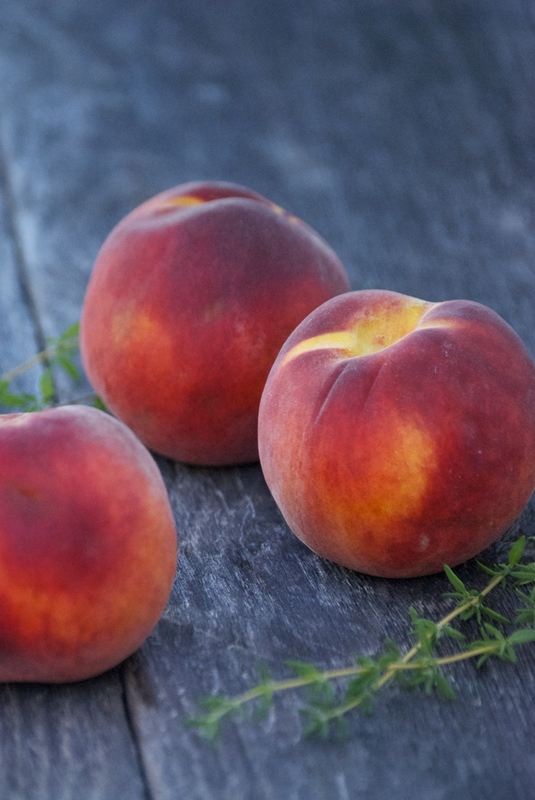 And the fresh thyme works magically with the peaches– they’re a wonderful pairing. Using fresh juices in addition to chunks of whole fruits helps the flavors meld a bit quicker than just using whole fruit exclusively. It is something you should definitely try before the summer is over! 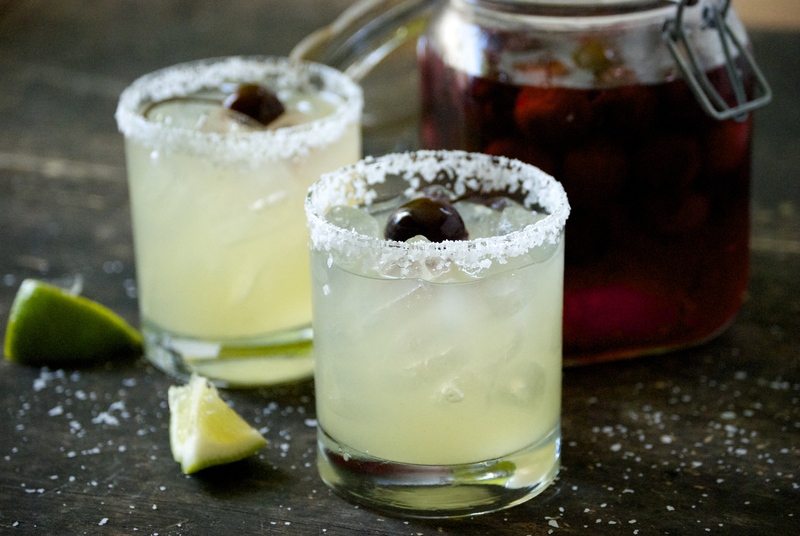 Enjoy the sangria and for goodness sakes, share some with your *neighbors! *Speaking of neighbors– shout out to my neighbor Allison and her lovely mother, Shirley for gifting me the gorgeous antique platter in the photos– thank you! Begin by steeping the chamomile tea in hot water. Refrigerate to cool completely. Juice the peaches by either using a juicer or peel the peaches and purée in a blender. 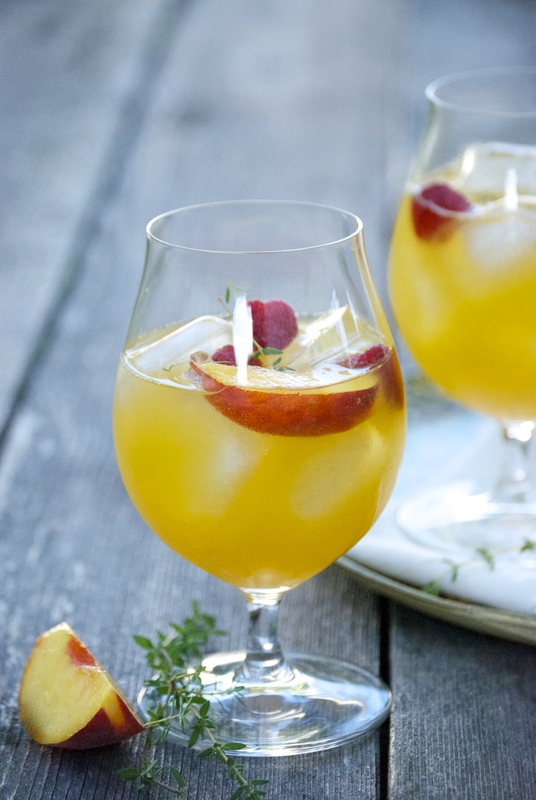 In a large glass pitcher, add the sparkling white wine, peach juice, chamomile tea, fresh thyme sprigs, and 1/2 tablespoon superfine sugar. Stir together well and even bruise the thyme with a wooden spoon to release the flavors more. If time allows, let the flavors meld for 20 minutes or so in the refrigerator. Then add the ice, fresh raspberries, and peach slices. Serve in a glass over ice. Enjoy! 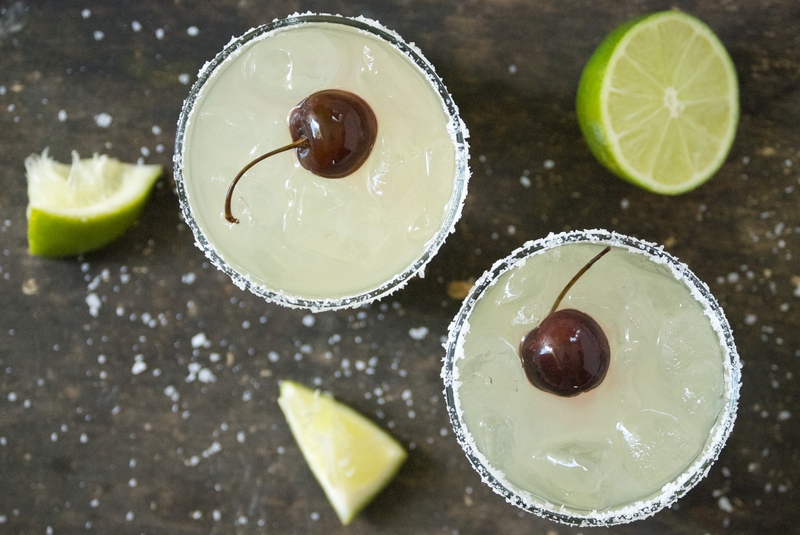 It’s Friday, which means it’s practically happy hour! 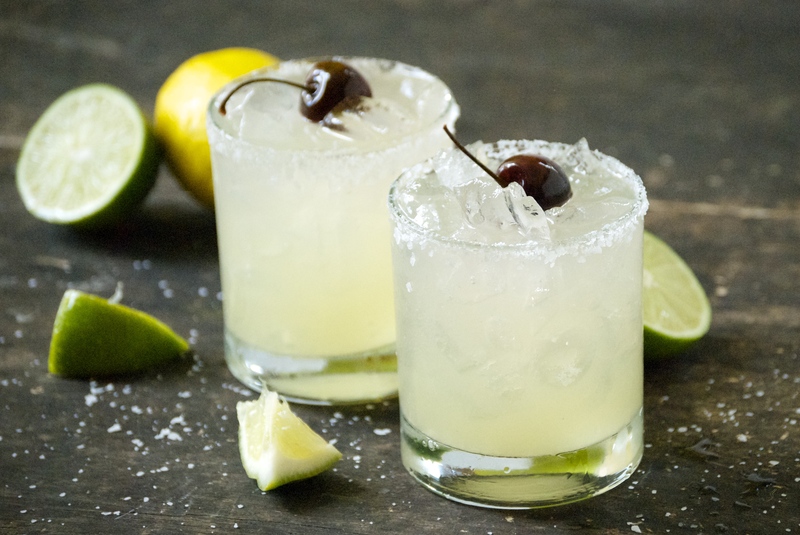 Today’s cocktail is one of my very favorites. It’s actually a drink that we enjoy both in the summer and the winter. 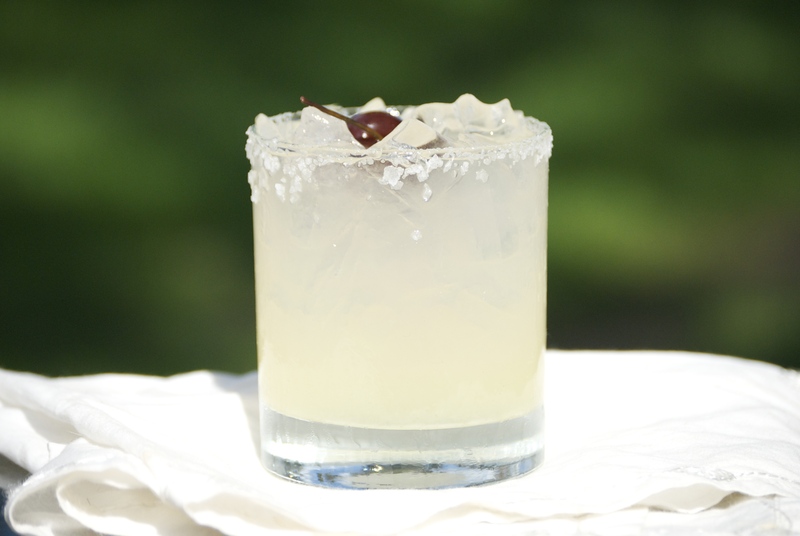 Right now we’re enjoying them outside on the patio with plenty of ice. 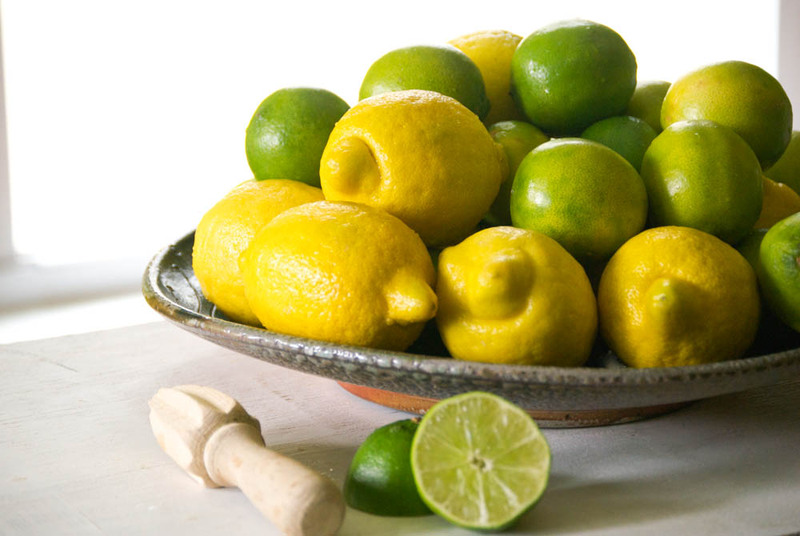 The lemony-bourbon flavor is a perfect combination– it’s smooth and doesn’t have a strong alcohol taste. But, what I love most about this cocktail is the froth. 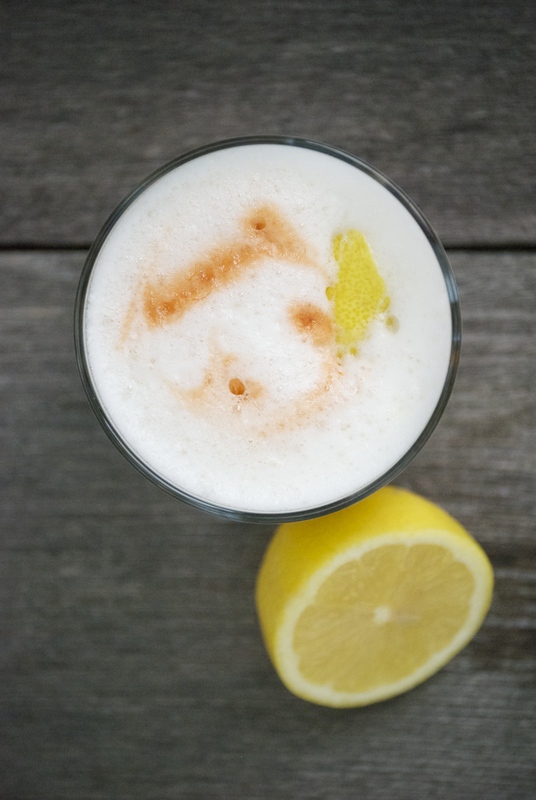 That creamy, silky froth makes this drink darn-near perfect. We get requests from our friends and family for this recipe all of the time, so I think it’s safe to say that it’s a winner. I honestly don’t even try to order this one when we’re out anymore because I know I’ll be disappointed– Radd has perfected it. This version really is the best I’ve ever had. Full stop. It doesn’t involve a long list of ingredients, but it does involve a few careful steps, which I’ll explain below. 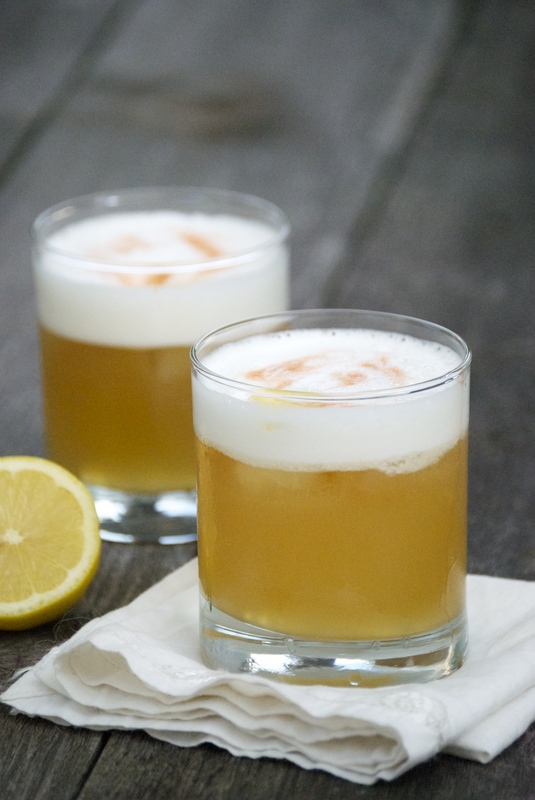 Follow these steps and you’ll achieve a perfect whiskey sour complete with a dreamy foam-top. You’ll see. And you’ll love it. Have a wonderful weekend, everyone–cheers! 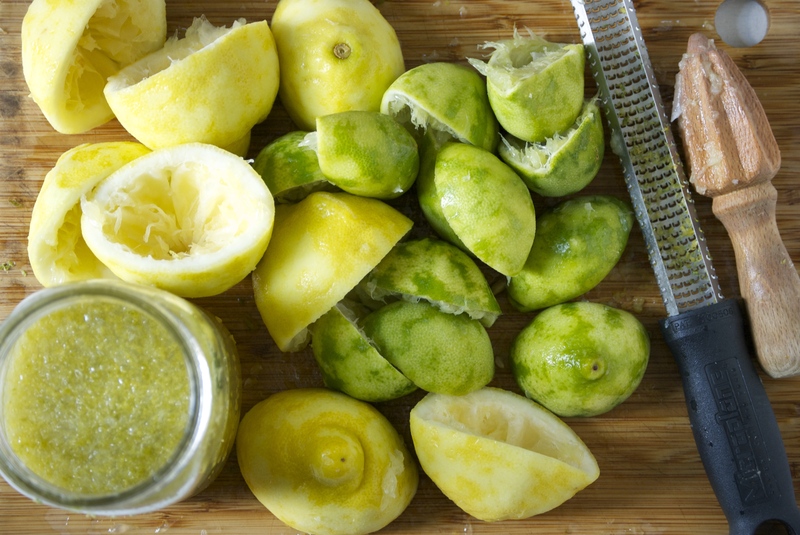 Use a small strainer to collect the pulp and seeds from the freshly-squeezed lemon juice. 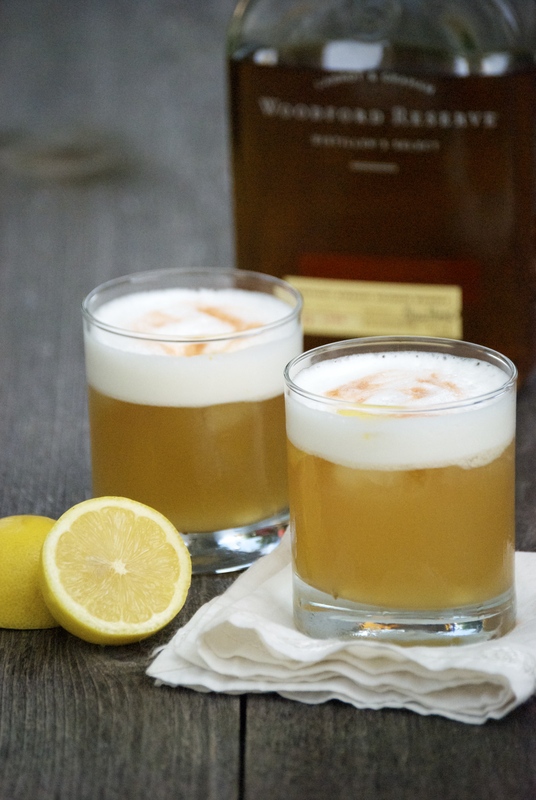 Next, in a shaker, combine the bourbon, lemon juice, simple syrup, and 1/2 egg white. Shake furiously (without ice) for 10 to 15 seconds in order to work the egg white into a nice froth. Add sufficient ice to the shaker and shake again until chilled. Pour into an Old Fashioned glass over ice. Add a lemon twist and 3-4 drops of Angostura bitters to the froth. Enjoy!